These are the Monsters University "buddy pack" style/size figures. I love these! They come in either the "Scare Pairs" 2-packs or individually as "Fearsome Friends." These are about 2-2 1/2 inches tall and are made of durable plastic. They are not easy to find as they seem to just mostly show up at random stores such as Walgreens, CVS, Barnes and Noble, Fred Myer and other grocery store/pharmacy toy sections. As seen in the picture above, the 15 initial characters released included: (from Monsters Inc.) Sulley in work gear, Sulley with Boo, Mike Wazowski and (from Monsters University) Art, Sulley, OK Shirt Sulley, Carrie Williams, Johnny Worthington, Terry and Terri, George Sanderson, Randy Boggs, Mike Wazowski, MU Hat & Backpack Mike Wazowski and Squishy. 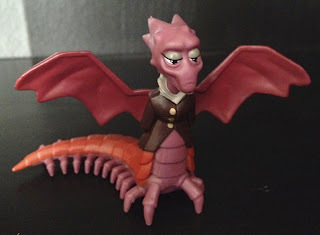 As seen in the update below, Dean Hardscrabble was also released later in 2013 for a total of 16 "Fearsome Friends." Also, this fun "Scare Simulator Playset" with exclusive scaring Sulley is available to use with these figures to recreate the awesome scare games finale from MU. I hope they make more of these types of playsets! A few days ago I found the "Scare Pairs" Dean Hardscrabble at Fred Meyer! She came in a 2-pack with Sulley but it was on sale for only $4 so I snagged it even though I already have Sulley. Hardscrabble is also available as a single "Fearsome Friend" but I have not been able to find that. Since this was on sale for the price of a single "Fearsome Friend" I decided to just go for it! On the back of the package she came in, there are pictures of a few more coming out this year (or soon) including Carla, Don, Archie and Sheri Squibble... and hopefully there will be many more to come! UPDATE: According to Spin Master, Carla, Don, Archie and Sheri have now been canceled and will unfortunately not be released. 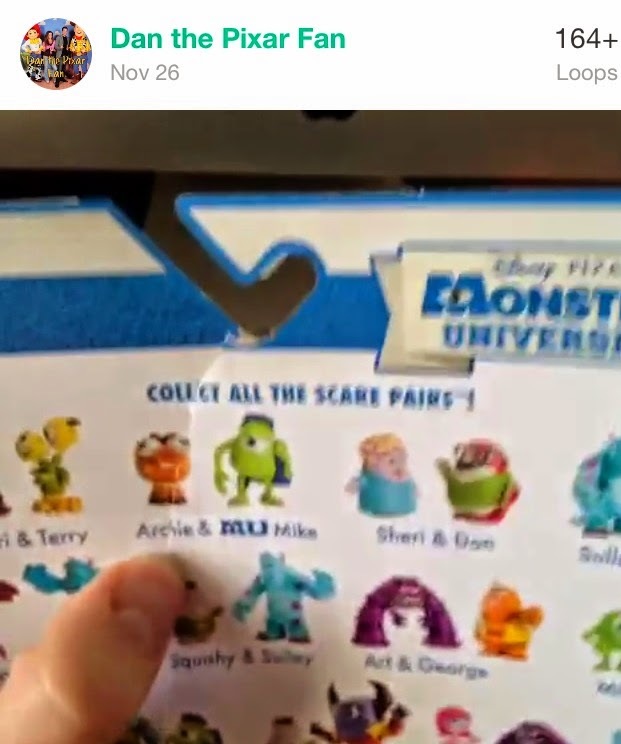 You can see an images of them on the back of the package below (these are screen shots from my Vine video, hence the bad quality, but they're the only images I have).